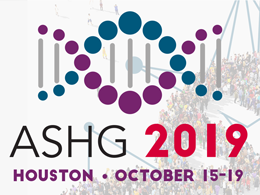 Welcome to The ASHG Blog, our newest outlet for sharing news and information with our members and the wider human genetics community! We hope to use this space to update you on Society activities, keep you posted on happenings of interest, spotlight individuals doing fascinating work, and build a stronger connection with members. We encourage you to share your thoughts by commenting on the posts or contacting us. Interested in contributing to the blog? Please email blog@ashg.org for more information. Why is a 2011 Budget Relevant to Science Funding Today?